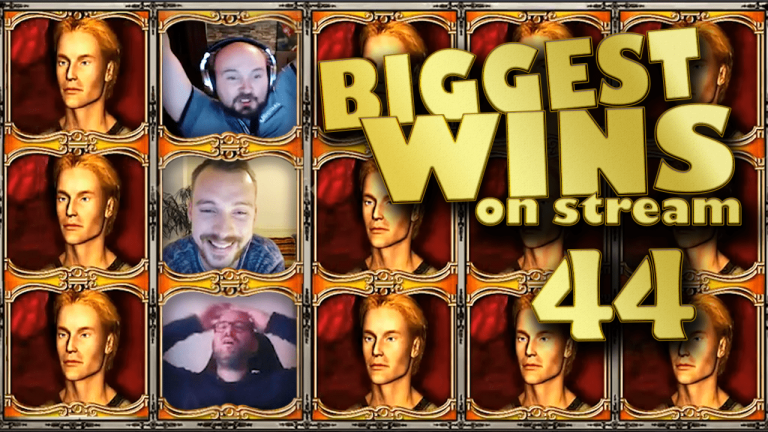 On this first Tuesday of November we present to you Casino Streamers Big Wins – Week 44. As in all previous iterations, we have a video compilation of the best slot wins on stream. Moreover, the full clips and a small review of the slot big wins. 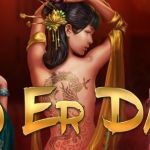 In today’s compilation we include slot wins from the 30th of October to the 5th of November 2017. Make sure to check CG streamers page for any stream events, raffles, giveaways, as well as, the daily schedule of your favorite streamers. Should you want to try the games featured in the clips, you'll find all slots on the casinos featured on our list of our Streamers Top Rated Casino Bonuses. We start off with Jarttuslot and his incredible win on the new Play’N Go slot Reactoonz. The casino streamer is known for his huge bets and this time was no different. Thus, while playing big €10 bets he activated the main feature which releases a colossal wild symbol. As a result Jarttuslot won a massive €3705. We can’t wait to see what other insane wins he will make next time. If you want to try this slot, you can find it at Rizk casino. It was quite a while since the last time we saw a really good hit on Book of Dead. Therefore we are happy to include Bandit’s big win on the video slot. The slot streamer was playing £2 bets when he triggered the free spins with the pharaoh as the special expanding symbol. Moreover the Brit was lucky to get multiple re-triggers which took the overall number of spins to 30. As a result the total big win was a staggering £1288. There is a reason why everyone loves the Book, and it couldn't be more clear than Bandit's win. Finally you can play the online slot, for real money, at Winning Room casino or any other Play’N Go powered casino. Usually the big wins we include in these compilations come from very high volatile slots, as they have the biggest winning potential. However, every now and then a lucky casino streamer gets a good win on less volatile slots. This time it was SuperSmask who got a great win on Twin Spin. The Swede was playing SEK 12.5 bets on the slot when a full screen on K (kings) landed. Hence a SEK 4860 total win. If you want to try the Twin Spin slot game you can find it at redbet casino, as well as, almost any other NetEnt powered casino. 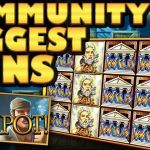 Casino Streamers Biggest Wins – Week 44 would not be complete without a big win on a Merkur slot machine. Thus we had to include Rex Borgersen’s win on the Vampires casino game. Here the slot streamer activated the bonus feature on a €1 bet at Casumo. Almost immediately the bonus showed its potential and the final result was a €560 super win. We are happy to see Shaltar back on the world of casino streaming and he is not wasting any time. In fact just last week the casino streamer got a massive bonus on the Pink Elephants slot. Following a 3 scatter trigger the game turned all the high value symbols into the elephant premium symbol. Therefore the final result was a big €351 total win from just a €1 bet. The new Pink Elephants slot has been an immediate success which you can find at CasinoCalzone. Therefore, if you give it a try, make sure to send us a pic or clip of your own big wins. For all you fans of Big Time Gaming slot machines we have a special clip. We are talking about DuoSlots’s hit on Danger High Voltage. The slot streamer was playing the game on a £3 bet when he triggered the free spin round. Surely the gates of hell bonus feature is the way to go on the free spins. That’s exactly what DuoSlots picked, and he was rewarded with a re-trigger, a huge number of wilds and a final £2579 mega win. Danger High Voltage is available on Thrills casino along with all other BTG online slots. We conclude Casino Streamers Biggest Wins – Week 44 with MiikaPekka’s epic win on the Dragon’s Treasure video slot. The casino streamer was playing €1 bets when he got the bonus free spins. In addition, he chose the highest paying symbol as the special expanding one. This was a great choice and thanks to 4 of them landing in a spin, combined with 2 re-triggers. - The total win was a colossal €1116. Dunder is the place to go if you want to to try Dragon’s Treasure, or any of the other popular Merkur video slots.